Crifasi Real Estate has extensive experience with over 25 years of leasing. We represent both the landlord and tenants. Our landlord representation is based on developing for each owner and individual leasing strategy based on the owners goals. We strive to consistently boost the occupancy and marketing of every property in our portfolio. We handle lease negotiations for new leases and lease renewals for both local and national tenants. We can enhance the tenant mix for a successful center or rebuild occupancy levels for an underperforming property. 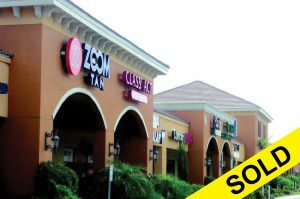 Whether replacing a vacant large box tenant or filling a vacant local space we know how to get a lease signed. Our strategy for finding new tenants is very basic: We use a “Boots on the ground” philosophy in finding tenants. We canvas and cold call area businesses and work with our extensive network of South Florida commercial real estate professionals whom we have a great relationship with. Our tenant representation consists of matching a tenant to the right properties that fits their needs. We handle new lease and renewal negotiations for both national and local tenants. We help tenants with the following: new business location, tenant expansion, second store location and site selection. Once we identify the right space we negotiate the best price and lease terms while structuring your lease for future growth. Local knowledge of the market. Crifasi Real Estate has over 20 years experience in Naples and Southwest Florida. We can provide you with a free evaluation of your homes value. When you list your property with Crifasi Real Estate we get results through effective salesmanship and marketing. Learn more about how we can help you sell your home. Our local knowledge of the market can bring you to the perfect home for your lifestyle. Whether it is a golf course, waterfront, gated or estate community. We can help you evaluate what best fits your needs. Click below if you are looking to find your dream home.